Laptop Data Recovery Case Study: Disk Not Initialized | Gillware Inc. The client in this data recovery case came to us after their laptop PC ran into trouble booting. After removing the hard drive and plugging it into a friend’s PC, the drive showed up as “not initialized” in Windows Disk Management. When the client tried to initialize their hard drive, they encountered an initialization error. The PC warned them that it had run into an I/O error, meaning it could not successfully read or write data to the drive. With no other way to get the photos back from their failed laptop hard drive, the client turned to Gillware for our laptop data recovery services. Initializing a hard disk drive is the first step toward using the drive. When you plug in a totally blank hard drive, Windows will look at it and see that there’s nothing there. In fact, there is absolutely nothing there for your computer to read, or do anything with. Initialization puts the first tidbits of data your computer needs to start using the drive. If you go into Disk Management, you can select the disk (which will show up as “not initialized”) and initialize it. 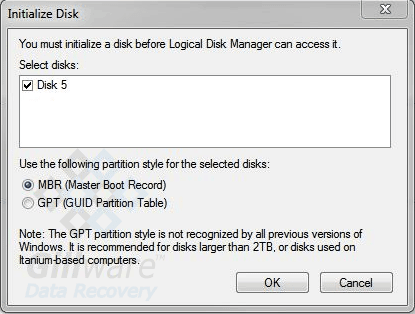 Choosing to do so writes boot sector data to the drive in the form of either a MBR (Master Boot Record) or GPT (GUID Partition Table). Once you have a boot sector in place, you can create new partitions on the drive. When your hard drive is suffering from some sort of malfunction, it may appear to your computer to be blank. And so your computer will do what it thinks it needs to do—tell you the drive is “not initialized”. This failure can be anything from bad sectors on the drive’s hard disk platters to a problem with its read/write heads or firmware. 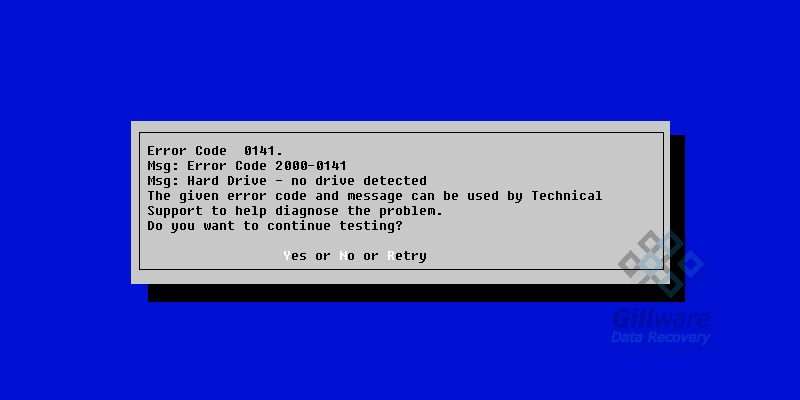 If the hard disk failure is severe enough to make the drive show up as blank, but not severe enough to prevent read/write commands from registering, you can initialize the disk, “erasing” the data just as if you had formatted it, and continue using the disk (until its condition worsens and it fails completely, that is). While it may not seem the case, this doesn’t clear up the error that was making your hard drive act up in the first place, though—and reformatting can cost you whatever data you had on the drive. If the failure is more severe, you will instead encounter an input/output error, informing you quite clearly that your hard drive is in trouble. 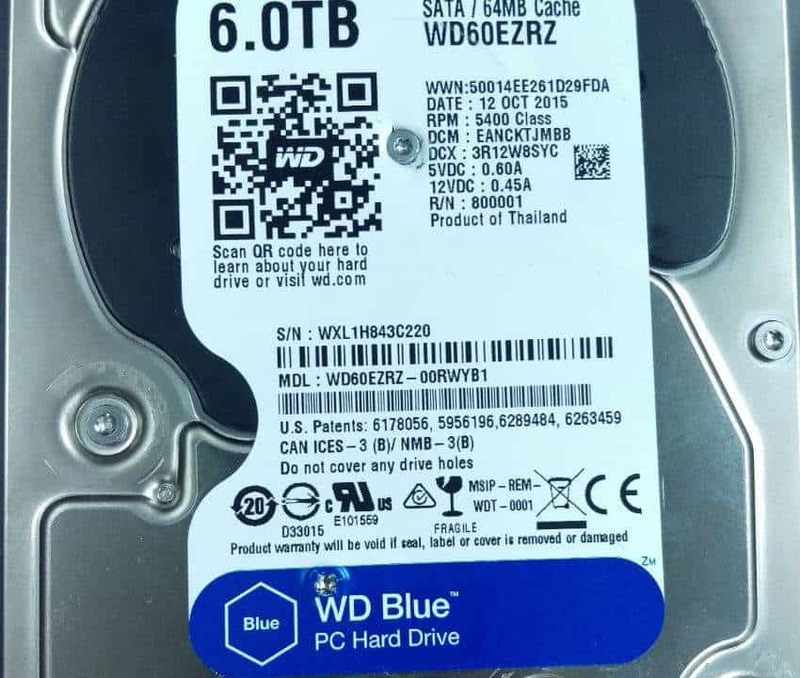 It was actually a very good thing, in its own way, that the client in this laptop recovery case could not initialize their Seagate hard drive. If they had been able to make any read/write commands to the drive, they could have done serious logical damage to the drive’s filesystem and their files, on top of whatever damage the drive had already suffered. 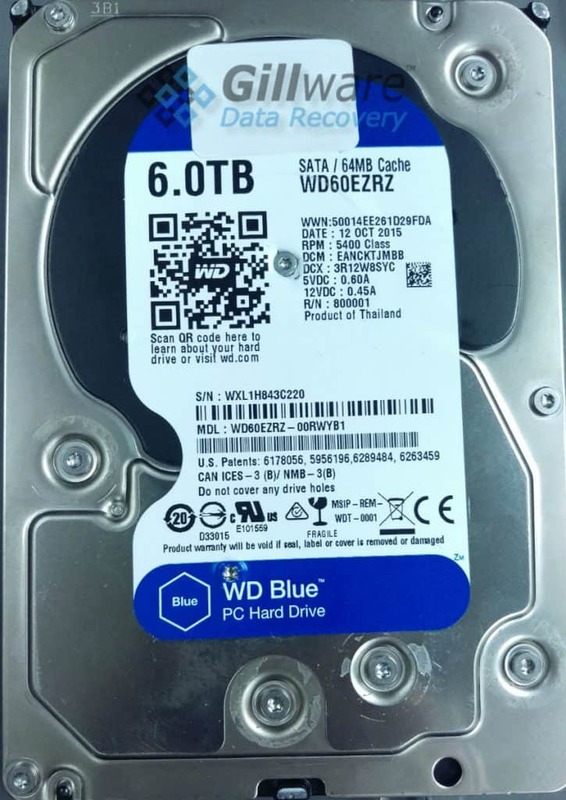 Our data recovery engineers took a look at the client’s uninitialized Seagate hard drive to find out what was ailing it. We discovered that its firmware was the cause of the client’s troubles. Every hard drive has firmware directing its behavior. When you turn your hard drive on, the first sectors the drive’s read/write heads look for comprise the firmware zone. Only after successfully reading the firmware does the hard drive know how to find the rest of your data on the drive. And so, if a critical portion of the firmware goes bad, it can make the entire hard drive seem to be blank. Repairing hard drive firmware when it fails isn’t easy. It takes special tools to access the firmware. And furthermore, there’s no real documentation out there explaining how hard drive firmware works—especially since each hard drive manufacturer programs theirs differently. Even among the same model of hard disk drive, there can be dozens of different firmware revisions out there. Fortunately, when firmware fails, the engineers in Gillware’s data recovery lab have both the tools and expertise needed to repair corrupted hard drive firmware. After dealing with the firmware and getting this client’s hard drive back in working order, our engineers were able to mount a successful recovery attempt, imaging the drive’s contents and encountering only a handful of bad sectors on its platters. In fact, we managed to completely recover all but one of the client’s thousands of family photos. This laptop data recovery case garnered a very high 9 on our ten-point case rating scale.